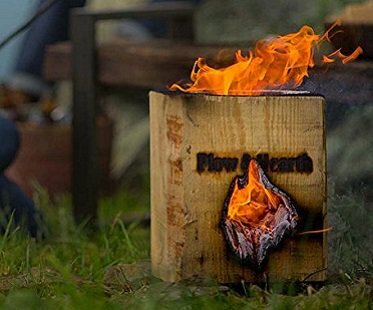 Blaze up your outdoor gathering in a instance with this portable outdoor wood bonfire! Simply light the included fatwood stick, place it in the chimney hole and enjoy over 3 hours of burn time. Great for your backyard, camping, the beach and more!